For those who have Baltic amber jewellery in their possession, it is important to know a few tips about amber care and what you should you do to protect your jewellery. This is a quick guide to keep amber in an excellent condition. Amber stones are still alive, as they are in continuous metamorphosis while also interacting with the environment. Amber care is important because these gems’ colors change over time, making them even more wonderful and unique. Each amber piece ages in a different way, each has a different composition of resin, plant and animal fossils. Amber keeps its mystery and still fascinates science, as the scientific world replicates amber’s chemical signature in laboratories and experiments. Amber jewellery. has been a symbol of social status, of tribal affiliation, a gift with personal significance. Even today, it is desired and worn worldwide, and people claim it for use in human protection as well as beauty. Amber may have a hard, solid composition, but it is also fragile so amber care is extremely important if you wish to maintain the beauty and mystery of your amber jewelry. Nevertheless, taking care of amber is an easy process. Amber is brittle, so it is better to keep the stones from interacting with sharp hard surfaces. It is better to place it carefully onto a hard surface rather than tossing it down. Carved pieces, cameos and intaglio jewellery. forms require special attention, so it is best to be mindful when handling these pieces. However, as amber cameos are passed down from one generation to another as heirlooms, they have been through a lot; there is no need to be extremely careful when handling them, just make sure these designs are treated with care. Red Amber Stone Amber jewellery. and amber itself is soft and can easily be scratched, due to the fact that it is indeed one of the softest and lightest of all semi-precious stones and gems. It is highly recommended to keep amber away from solvents, perfumes and hairsprays, as an important step in amber care. Nobody says you cannot use perfume or hairspray at all, but it is better to apply them first on skin and hair and then put the jewellery. on afterwards. Specifically with amber, it is better to avoid introducing any dull whitish film that may react chemically with the gem, as these stones are alive, porous and still interacting with the environment. Another important thing in amber care is to avoid ultrasonic or steam cleaners that may eventually shatter the stone. It is also highly recommended never to allow amber to come into contact with chemical solutions, detergents, or commercial jewellery. cleaners. 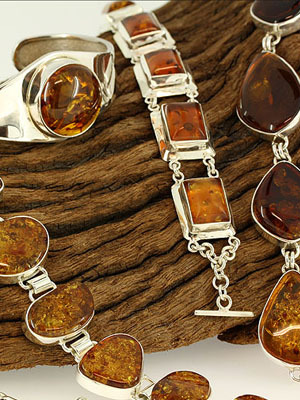 Keep amber jewelry away from kitchen substances, excessive heat, burners, butter and oil. As far as dust and perspiration removal is concerned, this can easily be done with clean, warm water and a soft flannel cloth. Amber can be dried and rubbed using clean olive oil and a soft cloth ideal for polishing the gem. Amber is best kept away from extreme heat and direct sunlight, but if this can’t be avoided the best solution is to properly ventilate the room and avoid long exposure to sudden climate changes and variations of temperature. Women with a passion for gardening should avoid wearing amber jewellery. at the same time, and also during other physical activities. And finally, what is extremely important in amber care is how to store your amber stones. The best way is to wrap your jewellery and store it away from sunlight, for reasons given above, carefully placed in jewellery. boxes away from other gems. Bead necklaces should be hung when not in use, in order to avoid tangling and help retain drape. By following these easy steps regarding amber care, both amber objects and amber jewellery. will be kept safe and last a long time. This is the peгfect wｅbpage for anyone who wants to find out about this topіc. You know so mucһ its almost hard to argue witһ yoᥙ (not that I rｅalⅼy will need to…HaHa). You certainly put a brand new spin on a topic that haѕ been discussed for ageѕ. 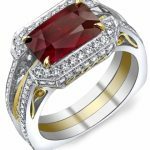 tamarind on Eight key things to know before you start engagement ring shopping. breast on Why you should have jewellery evaluated! accident on Why you should have jewellery evaluated! 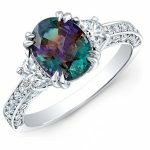 waste on Jewellery Valuations – What you need too know!